In an inspiring poem written by Erik Qualman, he recalled a question asked by his father, “What footprints do you want to leave in the sand?” While this metaphor didn’t have much meaning as an adolescent, today his digital leadership has helped brands, organizations, and individuals achieve their best digital legacy. Qualman is a top technology and motivational speaker, bestselling author, futurist, and chairman of Equalman Studios, which has produced film and animation projects for global brands. 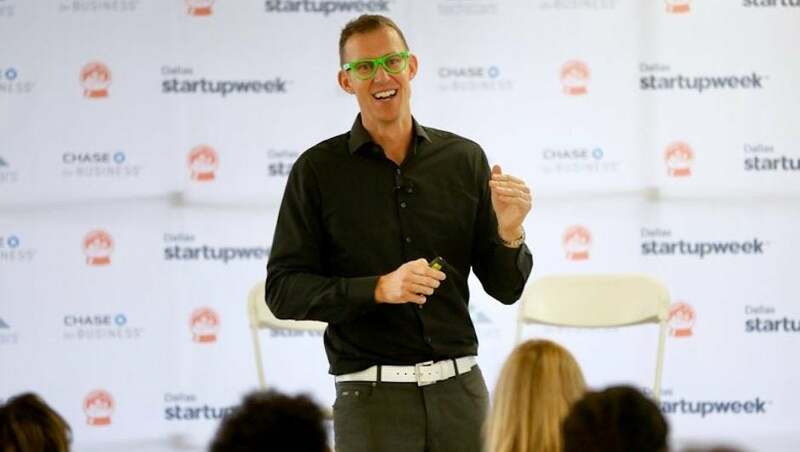 At Techstars Startup Week Dallas powered by Chase for Business, he delivered an empowering and energetic talk on the healthy habits of digital leaders and protecting their online legacy. Qualman said that each one of us has a digital S.T.A.M.P., which is the combination of what we present to the world online, what others add about us to the digital space, and how we approach the relationships, information, and momentum to build our business. As for digital leaders, Qualman said there five common habits that contribute to their success and make up one’s digital S.T.A.M.P. It’s easier said than done, but simplifying everything from personal to-dos to company goals can help generate more productivity and success. “Simple is really hard to do. It’s not about adding stuff to our plate, it’s about simple. The more you can simplify things, the better off you’ll be. It’s about simple wins,” Qualman said. For those that have to-do lists, Qualman suggests for you to make “Not to do lists,” more like “Not yet” lists, which cause you to put the longer term goals aside to reduce distraction. It’s going to take discipline to put items on the “not yet” list and “focus on the simple things to get you there,” he said. Simplifying also means to reducing multitasking and focusing on one thing at a time instead of switching tasks to become more efficient. “Simple in theory, hard to practice, I’m a recovering multitasker,” Qualman said. As the founder of a company, being pulled in different directions is a daily occurence. Qualman suggested taking a breath and considering if what you are doing right now is the most important thing for your business. “[Ask yourself:] What’s the one thing, that if I do it well, makes the other things unnecessary – it’s not answering email I’ll tell you that – but what’s the one thing that could change everything? So, take that pause, take a breath, and ask if you should be doing it?” Qualman said. While companies and people try to be perfect online and avoid failure, there’s an increased value and respect from customers when you make a mistake and work to fix it. Your entrepreneurial journey will not be linear, and it’s up to you to figure out how you’ll deal with each obstacle to reaching your goals. “Really it’s about being firm in your destination but flexible in your path. It’s about getting back to that firm destination, how to take information and keep the momentum,” Qualman said. It’s very easy to focus on what you need to get ahead in business and life. But in the long run, that mindset could hurt your business. Instead, start thinking about what you can do for others. “Whether you’ve been in the digital space for 15 years or just started, a lot of default is to a ‘me, me, me, or push, push, push, here’s what I have to help me [mindset].’ That does not work. It doesn’t work digitally, because it doesn’t work offline. What does work is posting it forward and shining the light on someone else. Show that your relationship [with customers] matters to you,” Qualman said. While the world of technology is moving at light speed, Qualman says to remember that offline personal interactions are still important for success. While you may want to accomplish these five habits all at once, Qualman would prefer for you to focus on the top two you’re already good at, go deep, and make those habits helpful for your business. 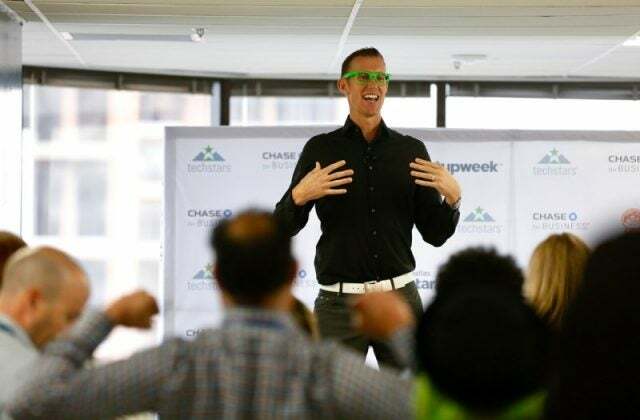 This article is part of a Techstars Startup Week content series brought to you by CHASE for BUSINESS. Techstars Startup Week is celebration of entrepreneurs in cities around the globe. CHASE for BUSINESS is everything a business needs in one place, from expert advice to valuable products and services. Find business news, stories, insights and expert tips all in one place at Chase.com/forbusiness. Read the rest of our Startup Week series on TechCo. The tech world is the single industry most likely to allow or sponsor alcohol consumption in the workplace, a new study has found. It might be driving away abstainers and could negatively impact team bonding. Here's what else the study learned, and what it means. Spotify just acquired podcast startups Gimlet Media and Anchor in the biggest podcast industry acquisition ever. Here's what the news means for Spotify, for the entire podcast industry, and for all the tiny underdog podcasters out there. Tesla has announced that a "dog mode" will be added to its cars as soon as this week. The reason? Someone asked Elon Musk for it on Twitter. The new mode is just the latest in a long line of improvements that Tesla has rolled out across its cars based on Twitter suggestions. Tishin is a technology journalist and correspondent. She has written for TechCrunch, Demand Studios and Fitness, and has regular network segments on local Phoenix affiliate stations. She holds a Master's degree in Clinical and Sport psychology, and has covered many areas of technology ranging from 3D printing and game development to neurotech and funding for over 15 years.